72dB gain = 4000. It's crzay. But with such gain, the sensor will saturate rapidly, since 0.25mV will become 1V which is almost the full ADC range. Is someone else than me out there that asks for the opposite - lower overall "gain"? 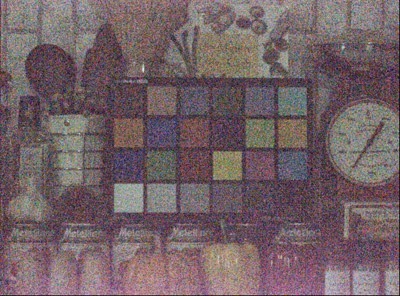 we have both enough light (the desired light has to be bright compared to environment light) and the demand for a exposure time of at least a few (5-10) ms (e.g. to "filter" mechanical vibrations). so our image sensors usualy are configured at the lower limit of the possible gain range - using no "amplification" by ADC but trying to use as much as possible of the linear range of the pixel. Sorry, I'm just beginning in this world : what is the relation between ISO and gain or e sensibility / noise ?